Plans for the swimming pool had been made as early as the 1960s. . Finally in 1983, a ground breaking ceremony took place. 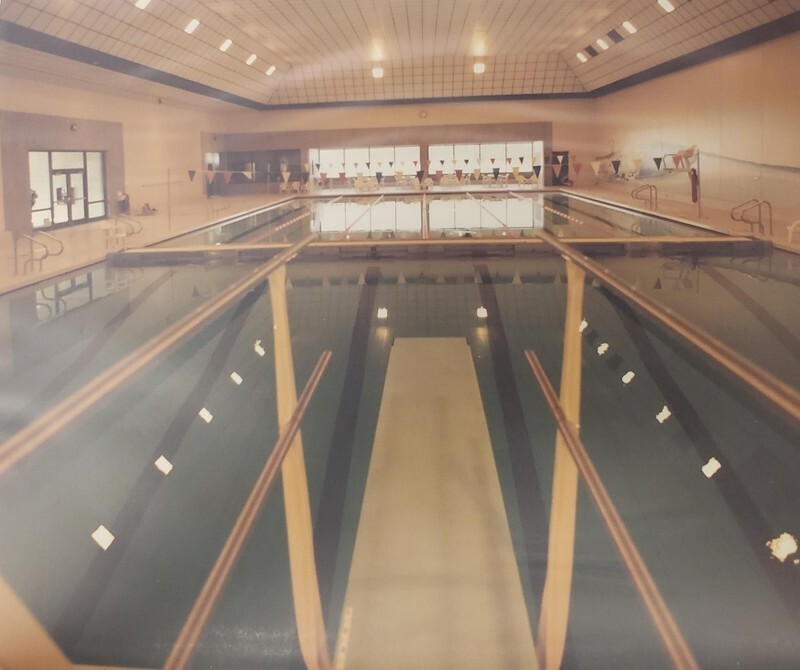 A private donor contributed nearly $1.7 million for just the swimming pool, which led to a successful bid for the 1986 NAIA swimming and diving championships which were co-hosted with Eastern Washington University. Whitworth has assembled a remarkable swimming tradition under coaches Tom Dodd and Steve Schadt. They have led the Pirates to numerous conference championships and have coached scores of all-Americans. Zach Caraway , “Whitworth Aquatic Center,” Spokane Historical, accessed April 19, 2019, https://spokanehistorical.org/items/show/796. Whitworth University Athletics. “Whitworth Aquatic Center.” Whitworthpirates.com Accessed July 27, 2018. http://www.whitworthpirates.com/information/insideathletics/facilities. Whitworth University, "The Whitworthian 1983-1984" Whitworth University (1984). The Whitworthian Student Newspaper. Paper 88. https://digitalcommons.whitworth.edu/whitworthian/88. Whitworth University, "The Whitworthian 1985-1986" Whitworth University (1986). The Whitworthian Student Newspaper. Paper 86. https://digitalcommons.whitworth.edu/whitworthian/86.